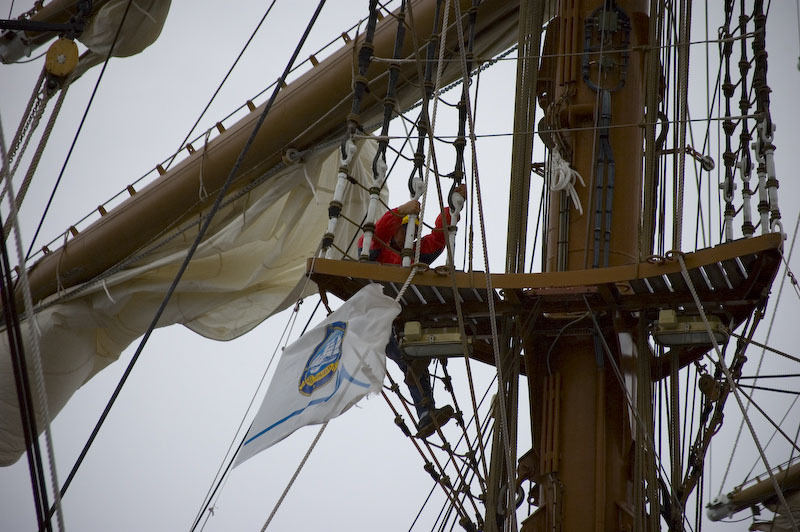 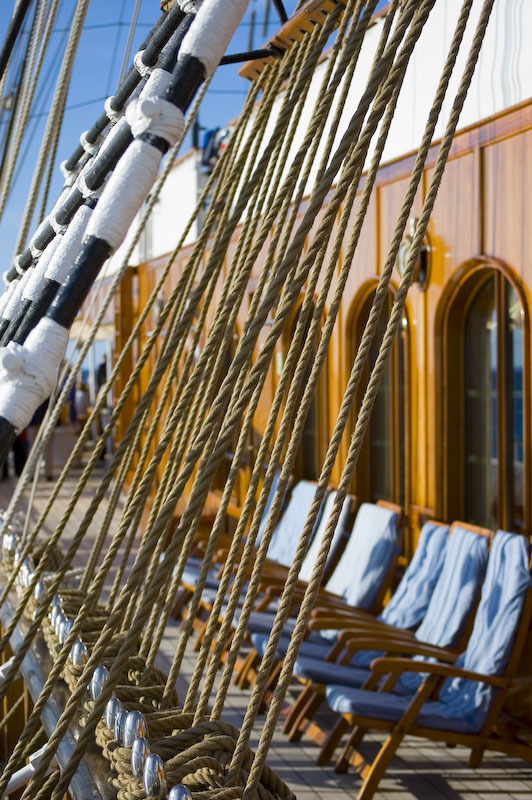 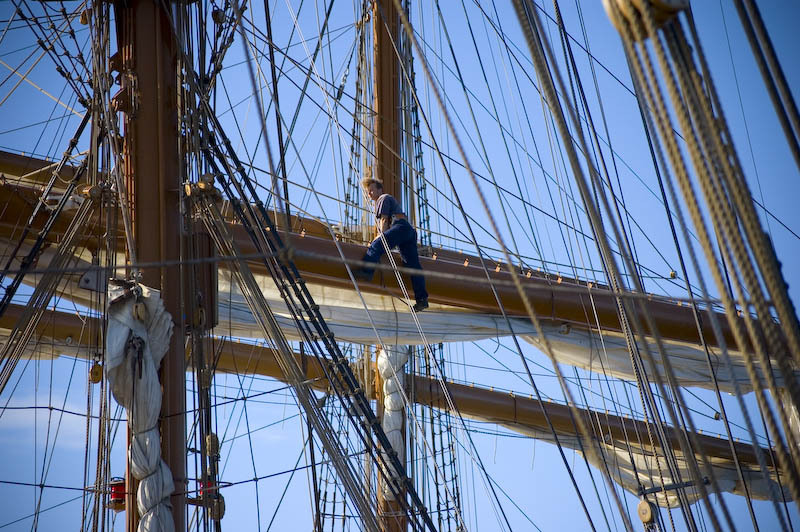 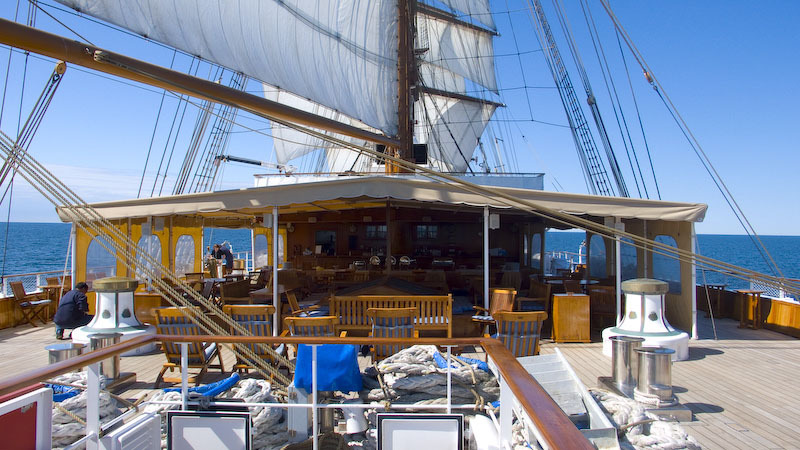 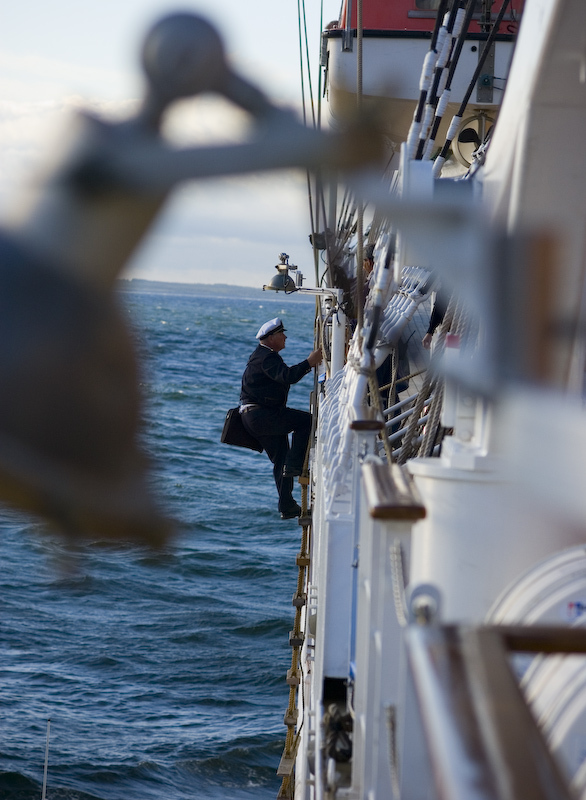 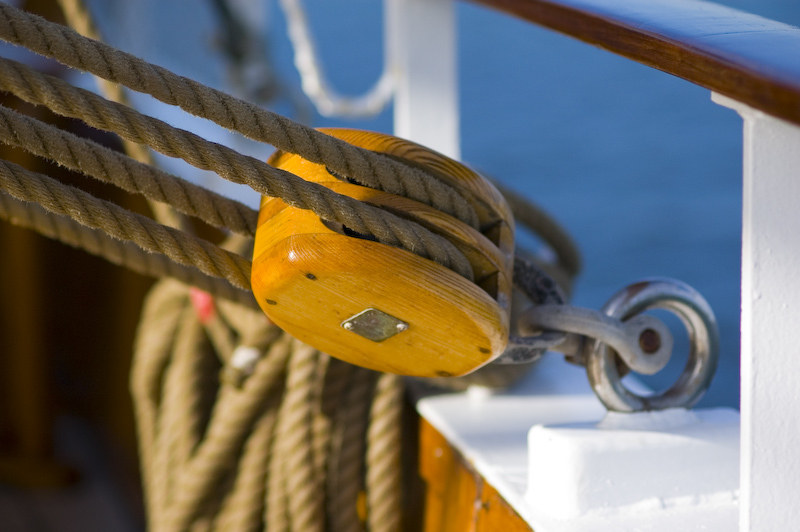 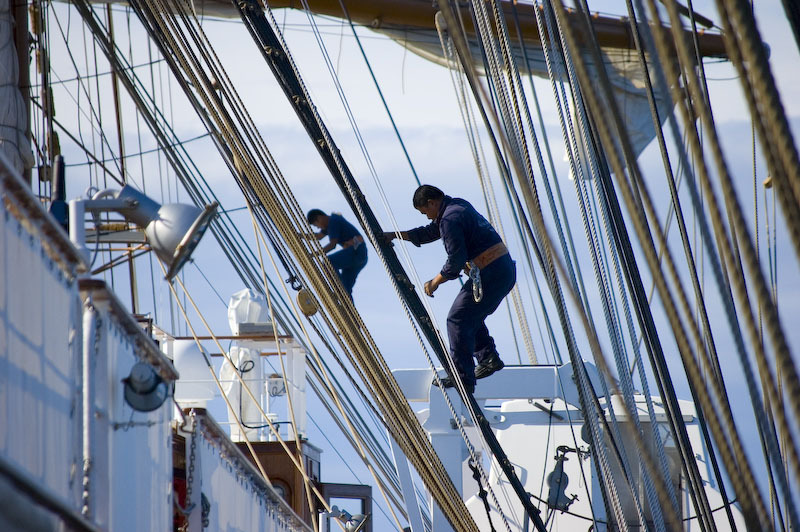 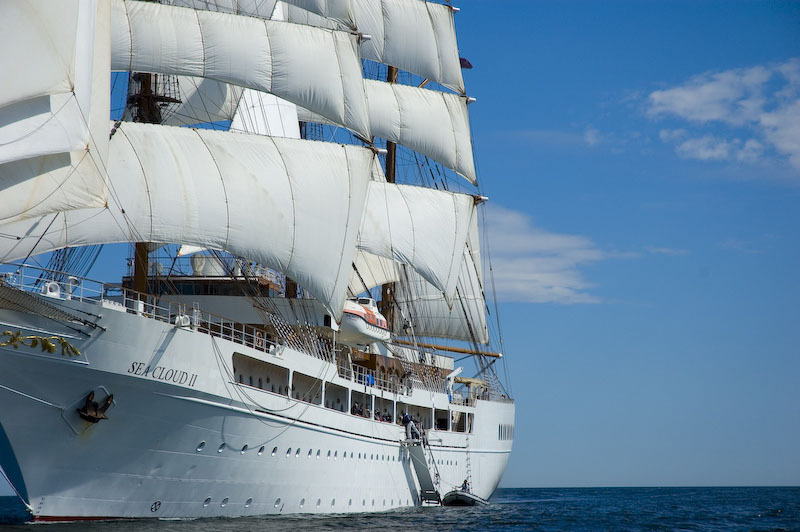 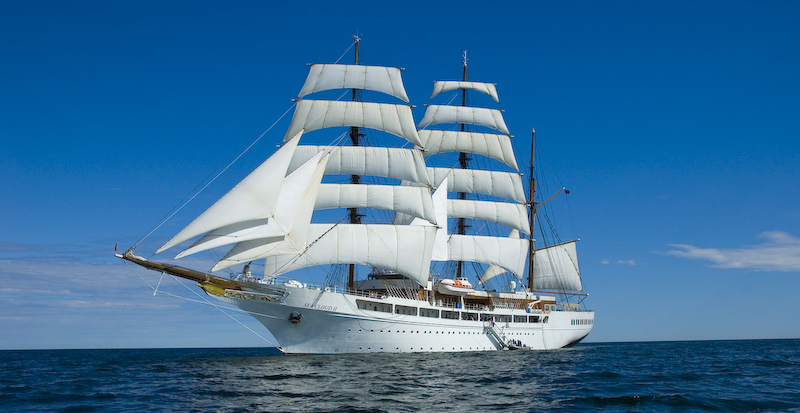 Ship combines the timeless elegance of windjammers of past with the highest safety standards and the luxurious comfort of modern cruise ships. 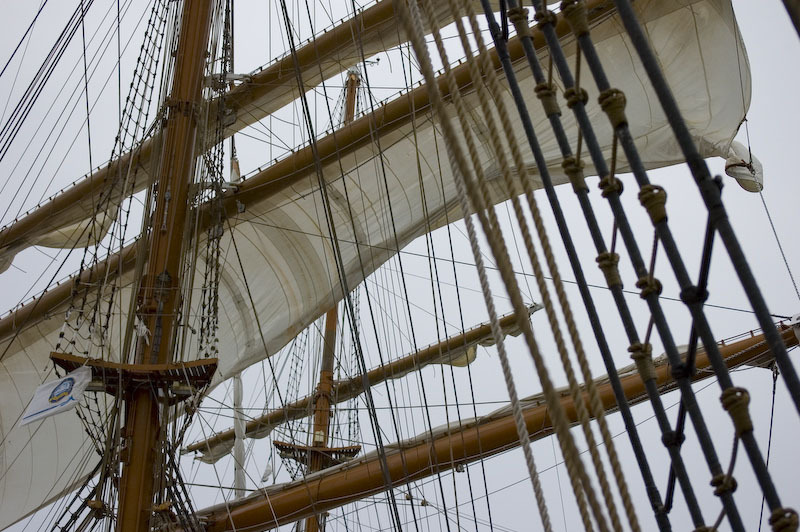 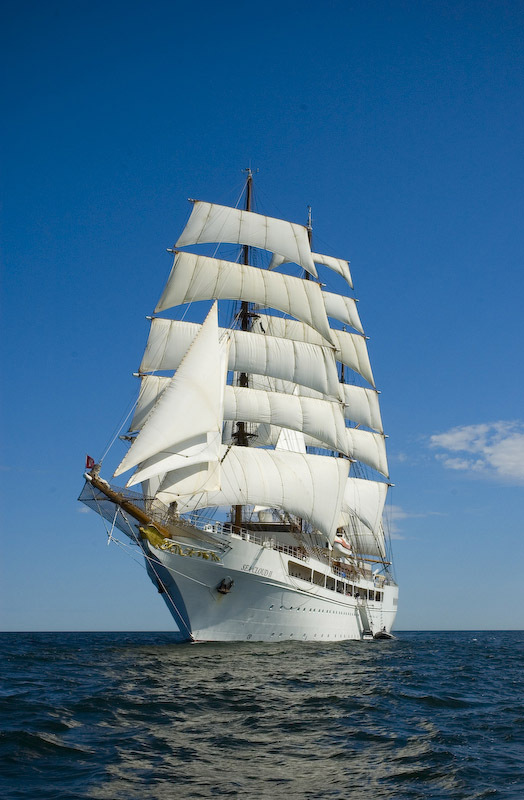 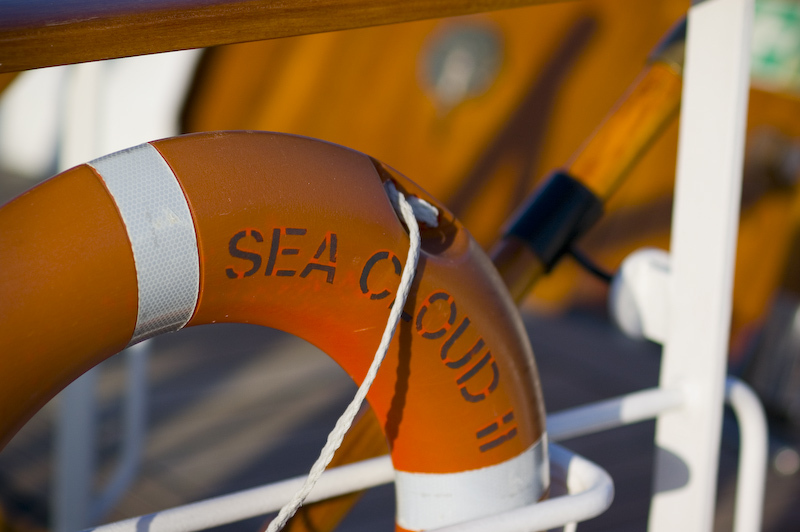 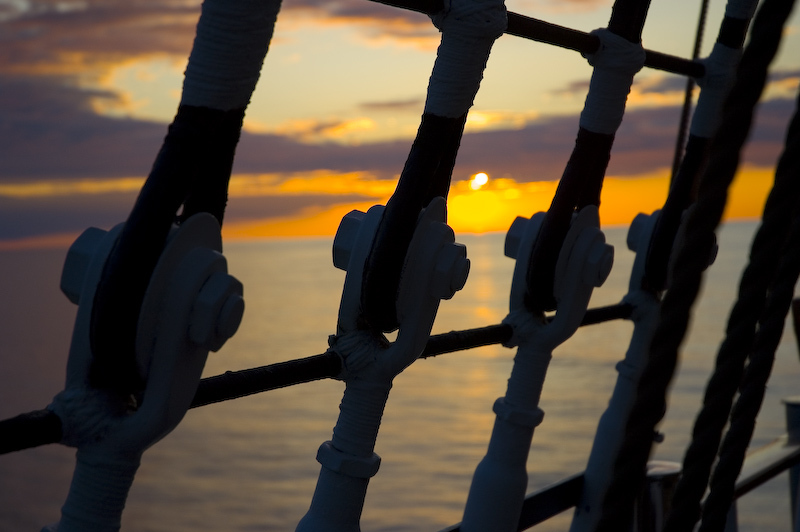 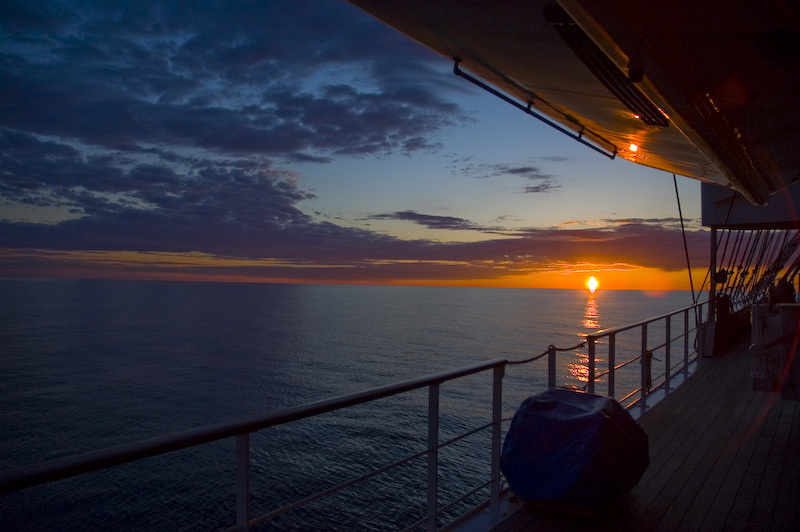 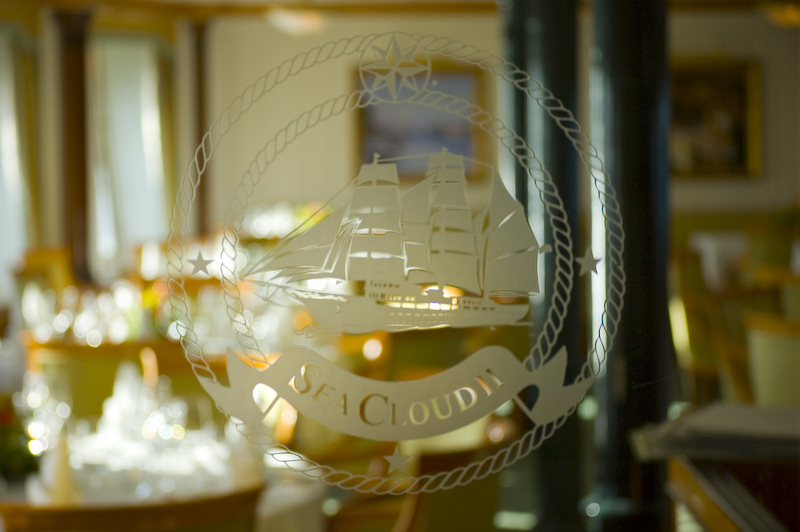 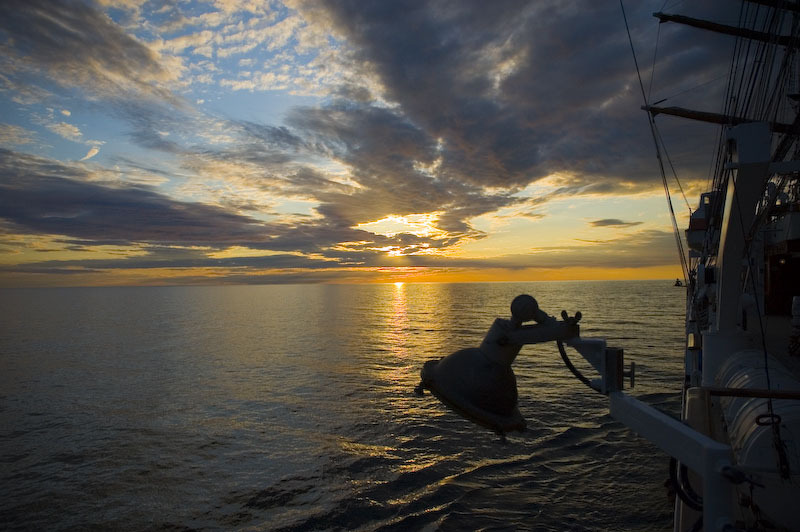 Ship is just as on her legendary sister ship, the Sea Cloud. 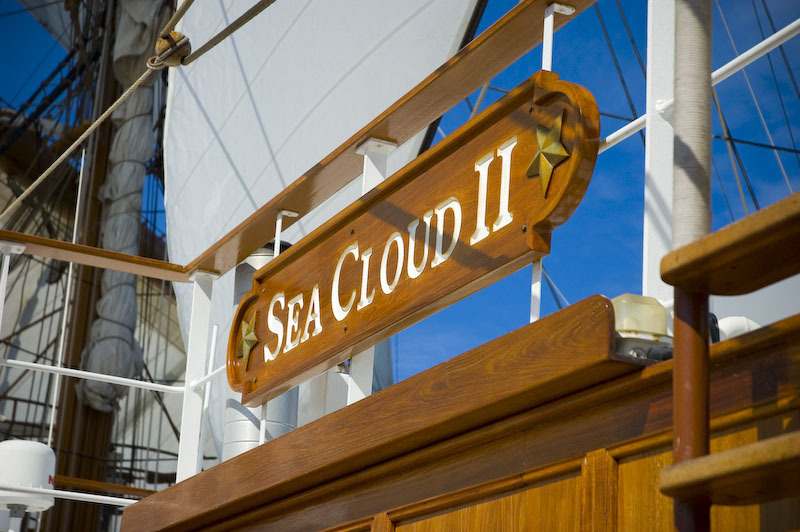 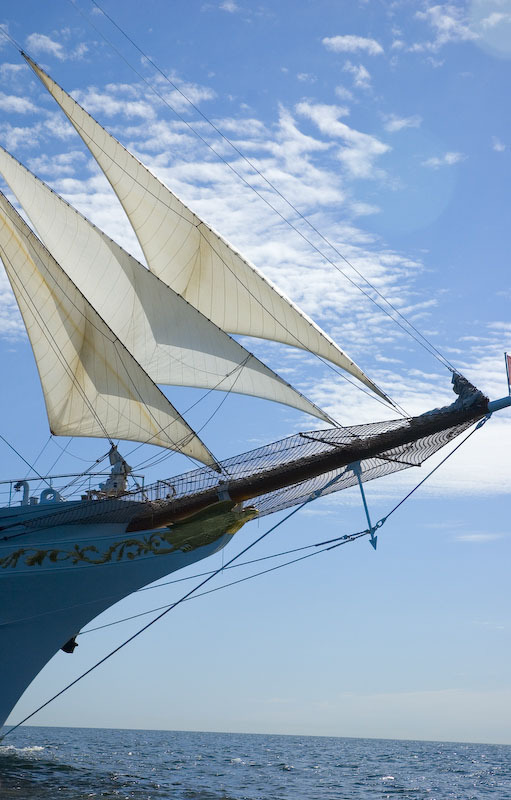 The SEA CLOUD II was completed after a 36-month construction by traditional handcraft together with the most modern technology.